Straight out of the box so kindly delivered to the House of Pipes, the M2 jacket impressed. 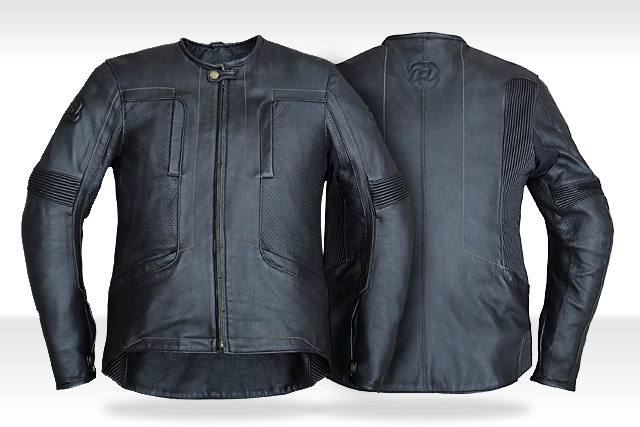 The jacket’s design has a great look without falling too heavily into either the modern or retro camps. The leather looked, felt and smelled top shelf. The stitching seemed robust and the overall weight of the thing gives it a solid, save-you-arse vibe that reassures. 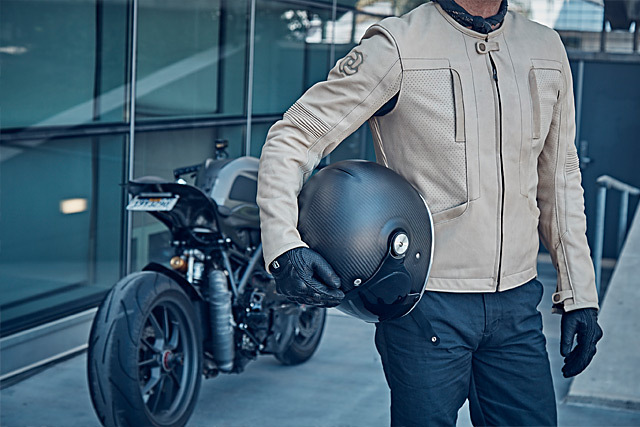 It looks just as classy in real life as it does in the photos shown here, and the restraint the Pagnol designers have shown really pays off with its concerted lack of pointless bells and whistles that many other jackets excel in. 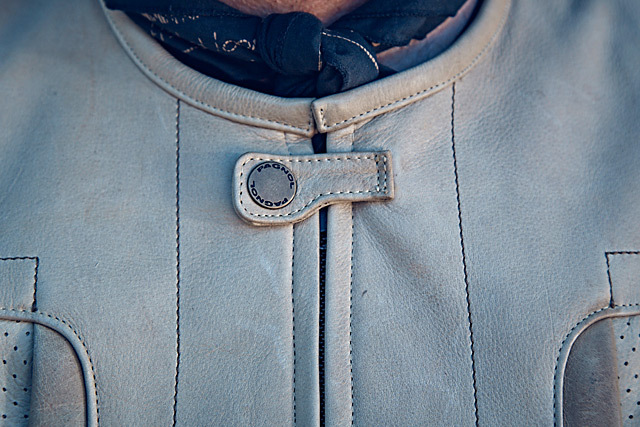 Made from the same grade of leather throughout, the only real textural differences to be found on the exterior are the perforations on either side of the chest and the expansion pleats on the elbows and shoulder blades. No hokey retro racing stripes or fake patches here. The Pagnol logo does appear in three separate locations on the jacket (centre back and one on each shoulder) which, while subtly done, may be two times too many to those not so keen on overtly branding themselves. Pagnol gives us a handy six pockets overall; two on the breast, two on the stomach and two on the inside. While they are well placed and not badly sized for a fitted leather jacket, I wouldn’t have minded seeing a little something extra attached to the zippers in order to aid opening and closing. Those who endure serious winters might find that their toasty, padded gloves and the zipper’s regular (and recessed) pulls are a little awkward to operate together. The lining is your typical mesh-like synthetic. Pangol’s Mr Box Packer was kind enough to also include a full set of the high-spec armour including shoulder, elbow and back protectors – in this instance German Sas-Tec items – which felt like they’d stop a bullet if you asked them to. And while the back protector went into the required slot easily enough, I had about as much luck with the shoulder and arm protectors as a virgin schoolboy with a bra clasp on prom night. One elbow protector eventually gave in to my cursing and poking, but the other stubbornly refused to sit correctly and formed an annoying lump inside the jacket until I finally managed to corral it into place the following day. While I got there in the end, I felt that overall they should have been a little easier to place. Once out in the wind and with the armour sorted, the jacket really came into its own. 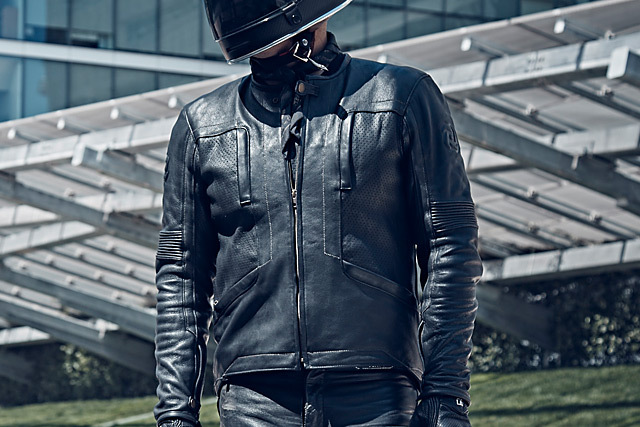 With a snug fit, no flappy bits to distract an already distractable rider, and a nice low collar line the jacket quickly made itself invisible. No annoying adjustments, unexpected breezes or riding up. It just worked. That’s quite a feat for something this substantial with exactly zero wearing-in time on the clock. And you can bet it will only get better with age. Ventilation-wise, it handled Sydney’s 20-ish degree temps (that’s 68 in the old heats) with aplomb, being neither too drafty or sweaty. And as luck would have it, the water gods blessed me with a sweet downpour on both my first and second rides in the jacket. Despite this rain, the thing recovered gallantly both times and I’m happy to report that sitting here now and looking at it, it’s finish is as good as the day it arrived. A little living-with time always puts things in perspective, and after a good while to get to know each other I’m glad to report that the relationship is as positive as it was on that first ride. I’ve worn it on bike and off, using it as a regular jacket-about-town when the mood took me. That’s always a good sign with any piece of biking kit; if you fancy wearing it when you’re not on the bike, you can bet it’s a keeper. Naturally, it’s much more comfy in this role with the armour taken out, but as I was a little hesitant to do battle with the shoulder and elbow pads again, I only dared remove the back armour which made sitting on hard-backed chairs a much more pleasant proposition. And, dare I say it, the shoulder and elbow armour made me look a little more buff, too. One other thing that also became apparent over time was the jacket’s rather chattery press studs. Placed on both wrists and as a fastener on the collar, they are dead quiet when all done up, but rattle a bit when worn open. This will no doubt be quite familiar to all those of us who own a classically-styled “Lewis” jacket, but it may take others by surprise. While neither a good or a bad thing in its own right, you’d probably want to watch yourself on your next ninja mission or hitman job. There’s probably no better way to finish off this piece than to say that the Pagnol M2 has managed to grab top spot in my wardrobe. 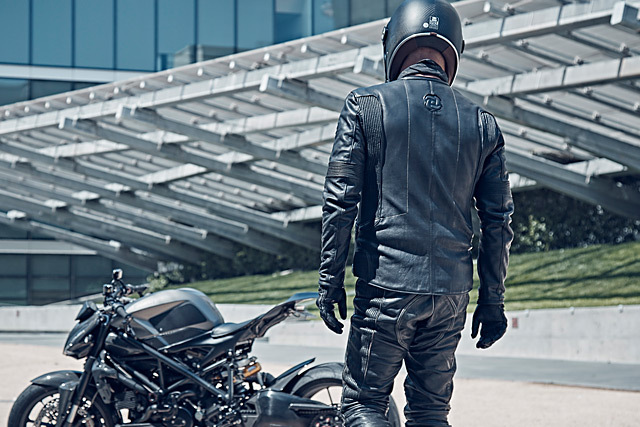 When presented with my old Alpine Stars crotch rocket number and the Icon 1000 Beltway Jacket, the Pagnol has been winning every time. With the exception of an unexpected track day or some serious winter riding, I dare say that the M2 would take pole position on my Dad bod pretty much every time. 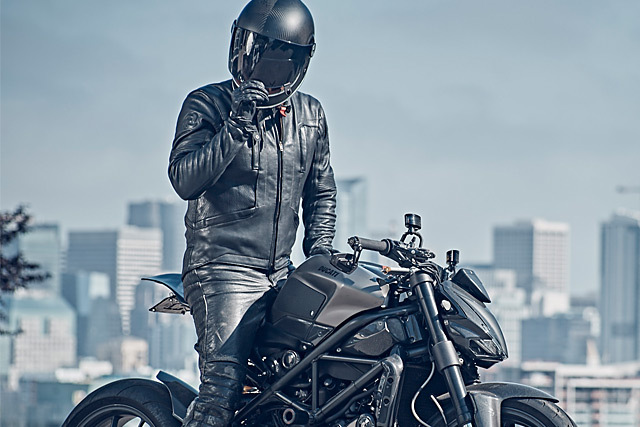 If you are in the market for a jacket and are after something that will last an eternity, be comfortable and look killer without falling out of fashion in a few years then you could do a lot worse than to try an M2. The fine print: In an effort to keep things as legit as possible, we feel it’s probably best to mention that Pagnol let us keep the jacket after the review. Rest assured that if the jacket wasn’t up to scratch, we’d have no problems in saying just that, and that we will always endeavour to give you guys the best reviews possible without fear or favour; sponsors bearing gifts included.